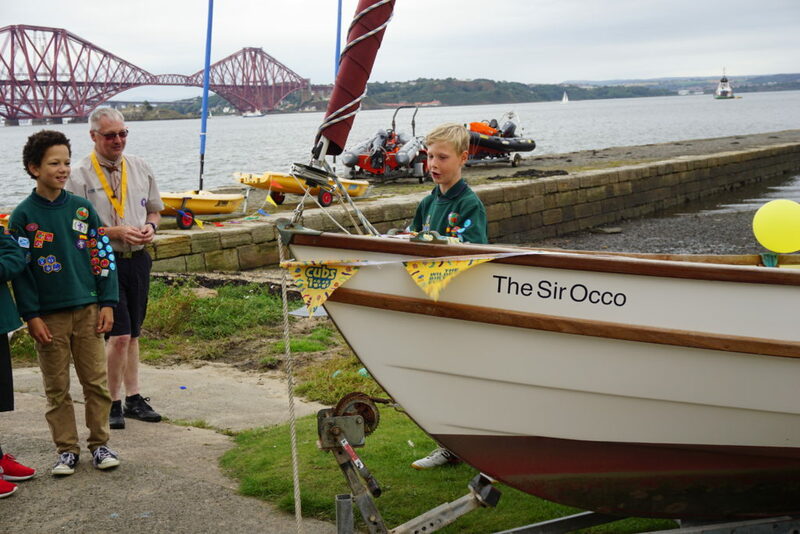 Longcraig Scout Centre issued a challenge to all Cub packs in the region to name their new Drascombe boat. The criteria was that the name had to have a “wind” theme. We had a good response from Cub packs across the region and a small panel of Longcraig members chose the winning entry. The 11th ENE Cubs were the winners with their choice of The Sir Occo the prize was a fun packed afternoon at Longcraigs. One of the Cubs from the 11th Edinburgh North East carries out the naming ceremony. 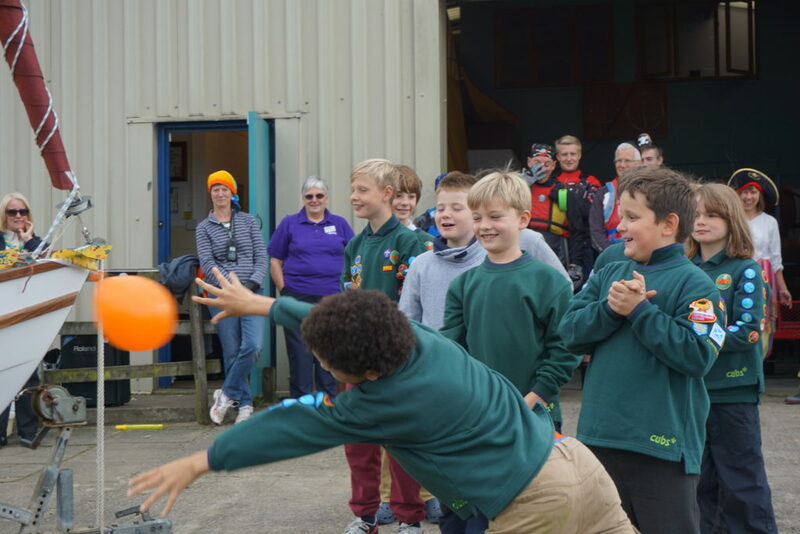 Sunday 18th September arrived and a bunch of excited cubs descended upon Longcraig, the afternoon started with the naming of the boat in a slightly unconventional way of a water balloon followed by a treasure hunt along the foreshore just before the tide came fully in. Then it was time to get out on the water and have a sail in the boat that the 11th had appropriately named. As always Cubs need to Be Prepared as also out that afternoon were pirates armed with water guns who also got a good soaking and had great fun. Thankfully the weather conditions were ideal and we had a fantastic few hours out on the water before coming back on dry land for hot dogs, juice and crisps. As it is the Cubs 100th Birthday no occasion is complete this year without birthday cake which was enjoyed by all. At the end of the afternoon the Cubs left the centre exhausted but very animated after their adventures out on the water. The Cubs get ready to get on the water and Sir Occo! A huge thank you to Longcraig for putting on an excellent afternoon not only for the Cubs but also for the leaders.